Teaching music to kids is a highlight in my life. 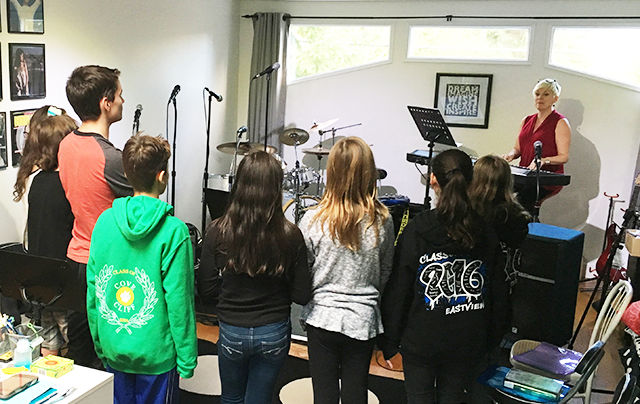 In our classes, I teach proper vocal technique for popular music styles, group and harmony singing, stage performance techniques and how to be strong and confident when delivering a solo performance. We have a lot of fun in our classes and the kids don’t even realize they are learning something at the same time. It’s a lot like hiding vegetables in the macaroni and cheese sauce. The kids are enjoying something that’s good for them, without knowing it’s good for them. 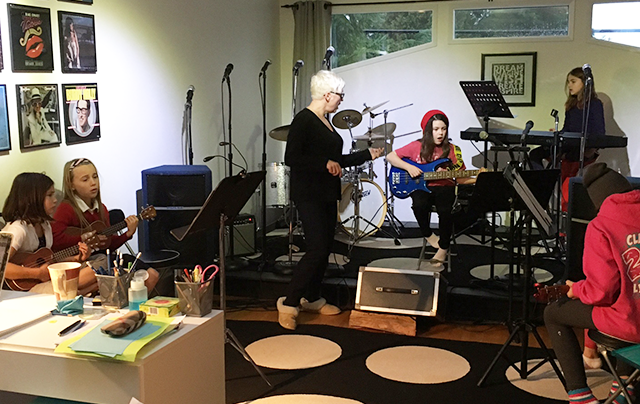 For kids, the stage creates a place where they get to practice being visible and heard. I feel these kinds of successful experiences are what is missing for all the kids that fall through the cracks. When children scale the mountain of creating a performance, they arrive at the summit victorious, and filled with self pride. They then carry this communication confidence into every aspect of their lives. None! In some classes, we explore playing together as a band, but musical knowledge or playing an instrument is not a requirement. Feel free to contact me for the up to date class schedule.